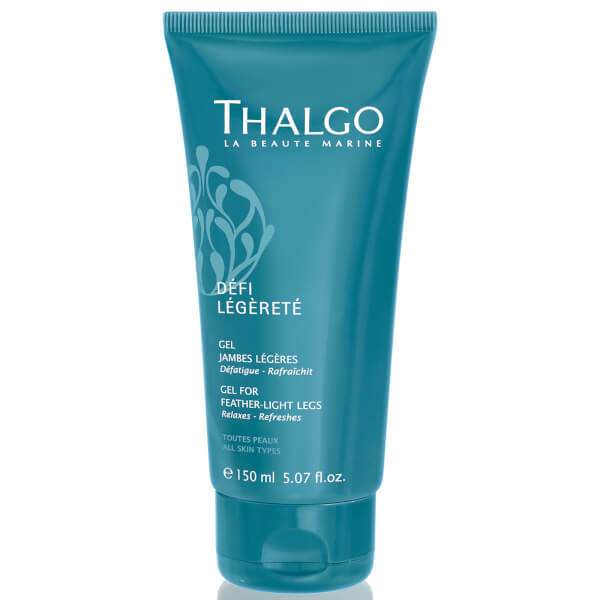 Relieve the feeling of tired, aching legs with Thalgo Feather Light Leg Gel. Ultra-fresh and soothing, the formula is enriched with a host of Algal and Botanical ingredients that work in synergy to help relieve feelings of discomfort while reviving weary legs. 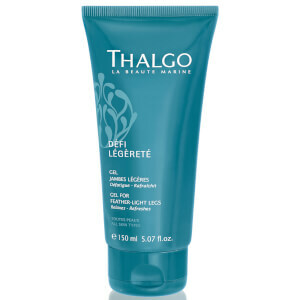 When applied in a relaxing, massage motion, the leg gel may contribute to improved circulation and tone. Massage into legs morning and night. Aqua (Water), Alcohol Denat., Propylene Glycol, Menthol, Menthyl PCA, Palmaria Palmata Extract, Vitis Vinifera (Grape) Leaf Extract, Melilotus Officinalis Extract, Phenoxyethanol, Carbomer, Butylene Glycol, Octyldodecyl PCA, Triethanolamine, Ethylhexylglycerin, Sodium Benzoate, Potassium Sorbate.